The planet faces a 21st-century global water crisis - but to what extent is this really new? Past societies and ancient civilisations have always faced climate change and been dependent on their ability to harness and manage a water supply. This has often been a key driver of historical change, leading to some of the most remarkable engineering projects of antiquity. 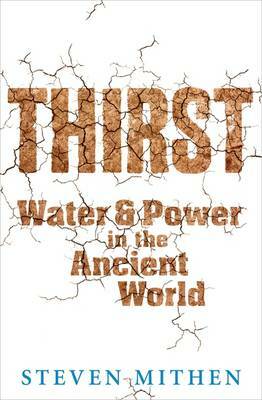 In THIRST, renowned archaeologist and prehistorian Steven Mithen examines the history of water management in the ancient world. From the first flushing toilets at Knossos on Minoan Crete to the aqueducts of Petra and the Incas, from the bath houses of Rome to the canals of ancient China and the vast reservoirs of the Khmer and Maya civilisations, water management is shown to have been not only essential for human survival but a source of political power. It will remain so as we face global climate change, population growth and mega-urbanisation on a massive scale. So, does the past give us reason for hope or for despair?